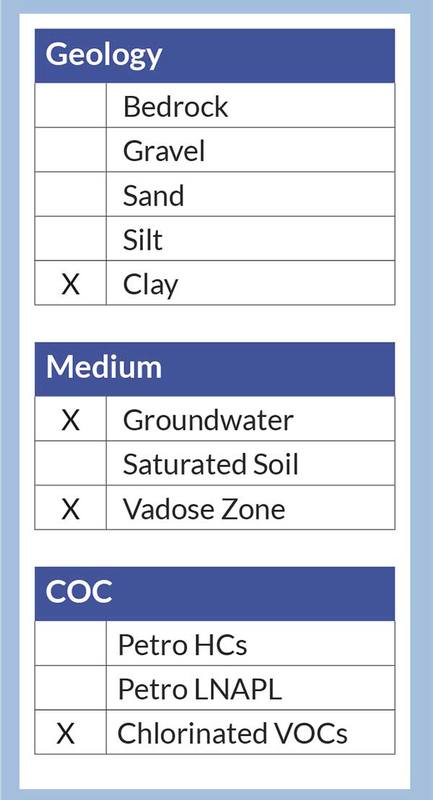 Groundwater and soil impacted with chlorinated hydrocarbons (CHCs) at a former dry cleaning site. 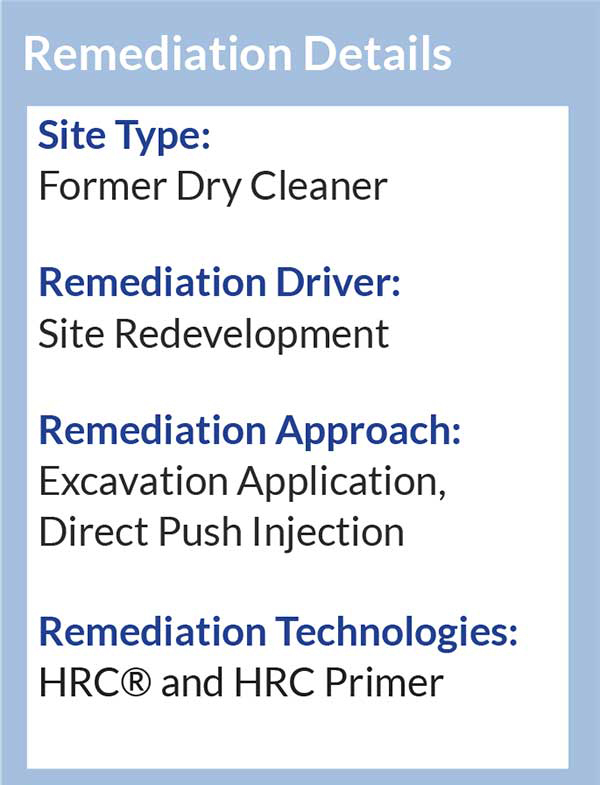 Direct application of HRC and HRC Primer into six large excavations to treat contaminant sources across the site. Application of HRC and HRC Primer via direct push injection to treat the contaminant plume and provide a barrier on the site perimeter to prevent off-site migration. 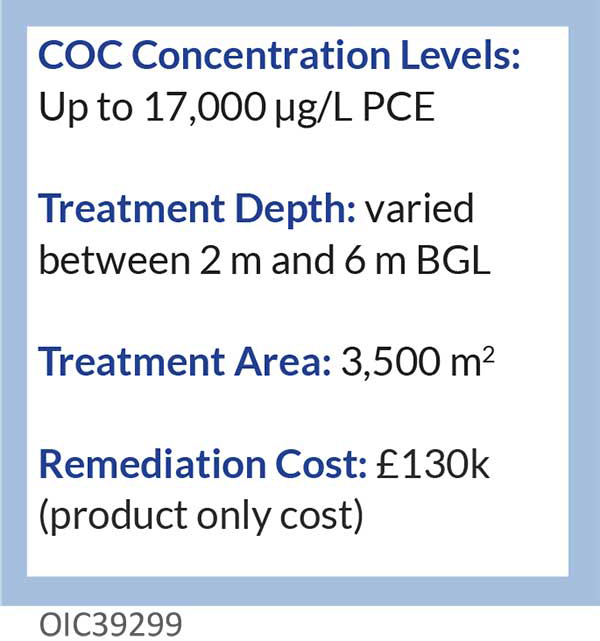 The combined application of HRC® and HRC Primer is designed to provide effective enhanced reductive dechlorination of the CHCs present. HRC Primer is used to penetrate the formation quickly, exhaust compet- ing electron acceptors and rapidly establish strongly anaerobic condi- tions. HRC, applied at the same time, provides a slow release source of dissolved hydrogen to drive enhanced reductive dechlorination of the CHC contamination for a period of up to 18 months from a single application. Following removal of grossly contaminated soil, HRC and HRC Primer were mixed on the surface with clean, granular, backfill material and placed evenly across the base of each excavation. 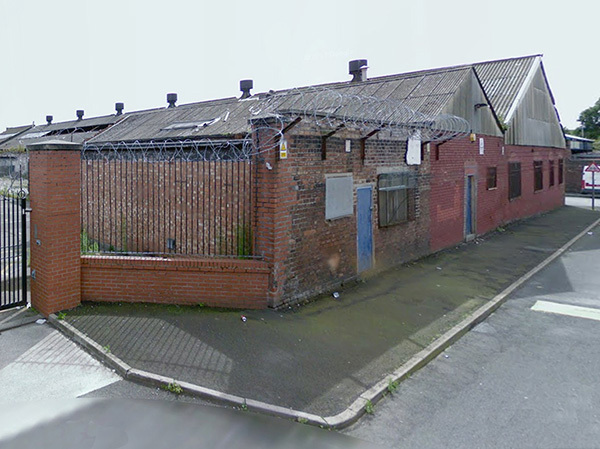 The excavations could then be reinstated immediately in order that there was minimal impact on the project programme. The source treatment was complemented by direct push injection to treat the plume of groundwater contamination beyond the edges of the excavations and provide a reactive barrier at the down gradient site perimeter.